We are open every day of the year except Thanksgiving & Christmas Day. Web sales processing is closed on most federal holidays. 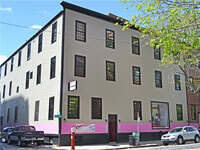 There are many options for parking in our neighborhood within a five-minute walk from The Garment District. In addition to several metered parking spaces on Broadway just outside our door, the surrounding streets offer plentiful metered parking spots. There are also multiple large parking garages in the area. The Technology Square garage (accessed from Technology Square) has roughly 1500 spots, the One Kendall Square garage (entrance on Binney Street) has roughly 1500 spaces, and the Cambridge Center East garage (entrance on Ames Street) has roughly 875 parking spots. 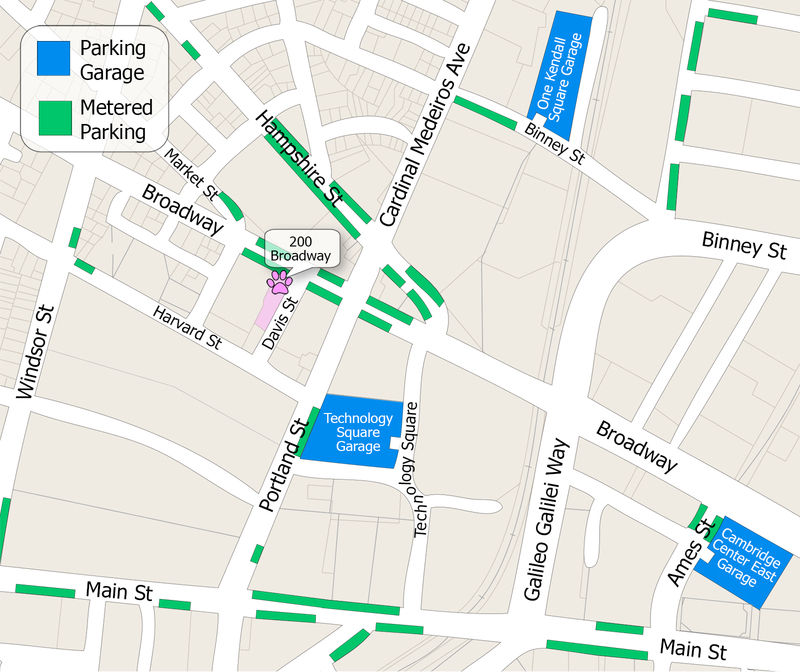 If you are a Cambridge resident, there is residential parking on many of the streets in our neighborhood, including Davis Street, Harvard Street, and Hampshire Street. Click here for a large, printable version of our parking map!